For many ages past have poets and philosophers written of love’s elusive wit. It infiltrates one’s psyche, messes with the mind, tears away inhibitions, and incites drastic action at the behest of the beloved. “All’s fair in love and war,” they say. Brice was the most romantic fellow in the band. It’s not that the rest of us didn’t care for it, or that we weren’t smitten by women in our time. Brice was just more vocal about it, and readily admitted his affinity for honest songwriting about love. Most of his music before writing with Telephonic was rooted in lovestruck ballads, usually pertaining to his experiences in the game of romance. We’ve all experienced love lost to some degree. Thus, to have a love ballad on the album we were writing just made sense. It’s something that people identify with. 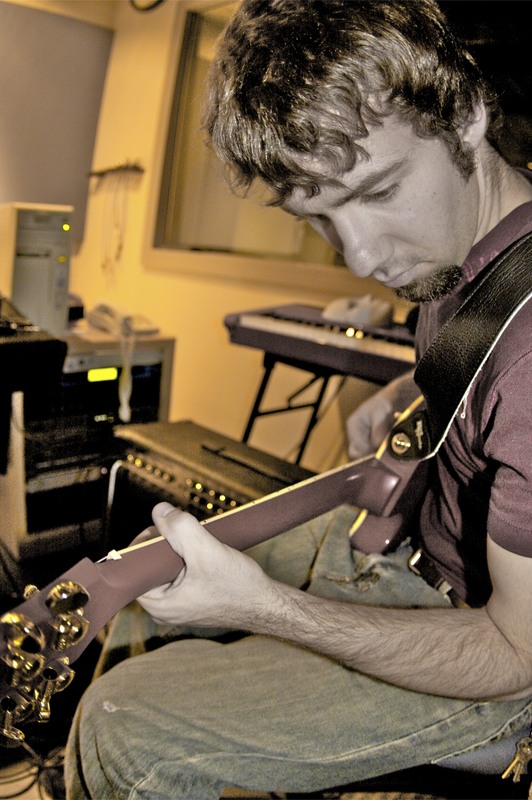 Brice’s primary concerns in songwriting were good melody, lyrics that fit the music spatially, and unique song structure. This provided a juxtaposition to my songwriting approach, which is more focused on the substance of the lyrical content before making the lyrics pop with melody. With “Look,” we found that Brice combined his authentic love storytelling and a little unconventional song structure with a bit of a cliffhanger conclusion. My favorite lyrics in this song, which happen to the the title of the whole album: “I just wanted you to know that I’m on the deep end of hope.” This gives a glimmer of potential that the song’s protagonist is moving past the dramatics of love, toward something deeper. What are your favorite love ballads? Love and Her True Implications. I Won’t Die in Roseville. Hundreds & Thousands & Millions. John, I had no idea that you knew me so well! I mean that partially in a comical bro-mance type of way, but also cause you really described me well as far as my focuses in writing music and how i express emotions. It brought me right back to when we worked on the album. Maybe this will be the inspiration I need to start really writing again, or you could just come back here and we could tag team it again. Of course I remember your focus! We negotiated a lot of details in the songwriting, but for the best results. It was a wild 200 hours working on that album, but time well spent. I’d love to hear any new material you have. I still make trips back to Minnesota, but I won’t die in Roseville!